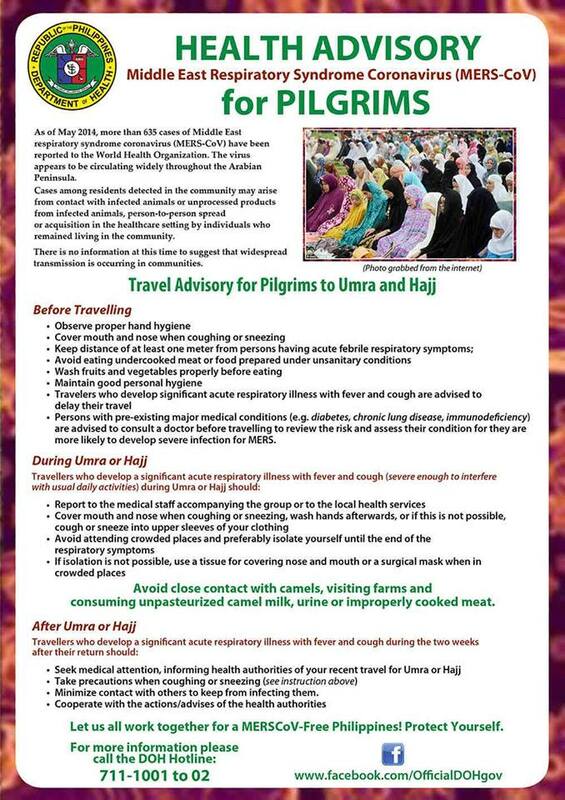 The Department of Health has issued this advisory for our Muslim brothers and sisters who will be traveling to Umra and Hajj (Mecca, Saudi Arabia). Please take note that the health tips listed here are likewise applicable even for non-travelers. This entry was posted in Health Advisory and tagged health advisory for pilgrims, health advisory for travelers, how to prevent the spread of mers-cov, mers-cov information, what is mers-cov on July 7, 2014 by Yami.